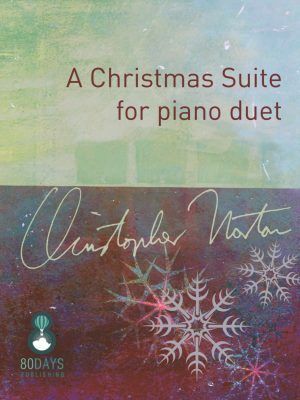 This Christmas Suite is for intermediate players and features 4 pieces, three of them well-known carols and the fourth piece an original composition by Christopher Norton. Carol of the Bells is a popular Christmas carol composed by Ukrainian composer Mykola Leontovych in 1914. It features a distinctive ostinato figure and has been arranged and recorded many times. This version stays true to the original, except there is a swung 5/4 middle section added! Christmas Cheer is an original piece, very up-beat and extrovert, with a distinctive syncopated figure that is tossed between hands and between primo and secondo parts and a middle section that quotes Deck the halls. 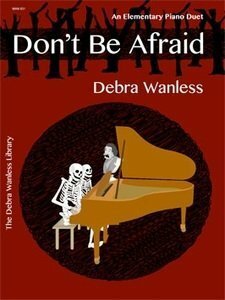 Bring A Torch, Jeanette, Isabella is a 17th century Christmas carol which originally came from the Provence region of France. On Christmas Eve in Provence, children dressed as shepherds and milkmaids still carry torches and candles while singing this carol. 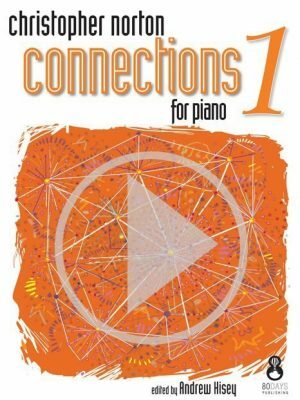 Downloadable Backing Tracks for – Connections for Piano 1 by Christopher Norton is perfect for students and teachers looking for a sound pedagogical alternative to classical piano literature. The pieces correspond level-wise to many of the world’s examination boards, so that students from many countries can enjoy and benefit from the books. Connections provides entrance level works progressing to more advanced pieces in preparation for the next stage of learning. Connections showcases a variety of appealing styles such as jazz, blues, Latin, swing, country, funk, and reggae. Ideal repertoire for recreational, examination or festival. 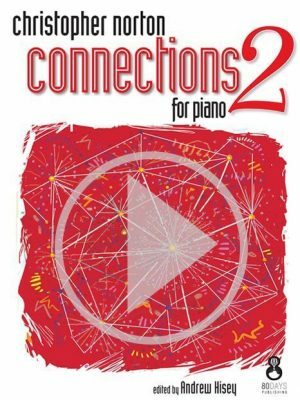 Downloadable Tracks for – Connections for Piano 2 by Christopher Norton is perfect for students and teachers looking for a sound pedagogical alternative to classical piano literature. The pieces correspond level-wise to many of the world’s examination boards, so that students from many countries can enjoy and benefit from the books. Connections provides entrance level works progressing to more advanced pieces in preparation for the next stage of learning. Connections showcases a variety of appealing styles such as jazz, blues, Latin, swing, country, funk, and reggae. Ideal repertoire for recreational, examination or festival. 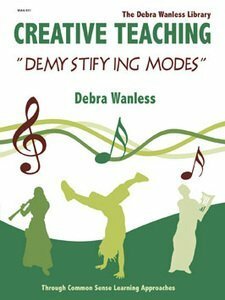 Downloadable Tracks for – Connections for Piano 4 by Christopher Norton is perfect for students and teachers looking for a sound pedagogical alternative to classical piano literature. The pieces correspond level-wise to many of the world’s examination boards, so that students from many countries can enjoy and benefit from the books. Connections provides entrance level works progressing to more advanced pieces in preparation for the next stage of learning. Connections showcases a variety of appealing styles such as jazz, blues, Latin, swing, country, funk, and reggae. Ideal repertoire for recreational, examination or festival. 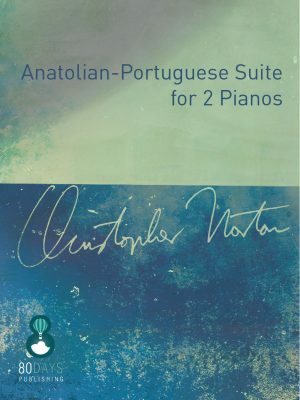 Downloadable Tracks for – Connections for Piano 5 by Christopher Norton is perfect for students and teachers looking for a sound pedagogical alternative to classical piano literature. The pieces correspond level-wise to many of the world’s examination boards, so that students from many countries can enjoy and benefit from the books. Connections provides entrance level works progressing to more advanced pieces in preparation for the next stage of learning. Connections showcases a variety of appealing styles such as jazz, blues, Latin, swing, country, funk, and reggae. Ideal repertoire for recreational, examination or festival.